Live topiary plants: Lemon cypress is another name for the “Goldcrest” cultivar of the Monterey cypress (Cupressus macrocarpa), a tree that has a native range limited to the Monterey bay on the coast of central California. The lemon cypress is characterized by bright yellow foliage and a narrow, conical habit with a heavy lemon scent. It may grow to be up to 16 feet tall in it’s native habitat. It is a fairly low-maintenance fast growing plant that grows in spurts as compared to slowly over time. There is less trimming with the upcoming holidays approaching they would make a perfect accent to any decor or style. For the home, it is beautiful in an entry way, or in the corner of a living area. For the office, especially those with low light, this topiary will bring some life into the room. Though, the lemon cypress does best in a location that gets at least five hours of full sun per day. The lemon cypress topiaries must be pruned on a regular basis to maintain their natural triangle or sphere shape. When pruned the tips will scab and turn brown, but not to worry this will fade in a short time as the topiary heals and grows. 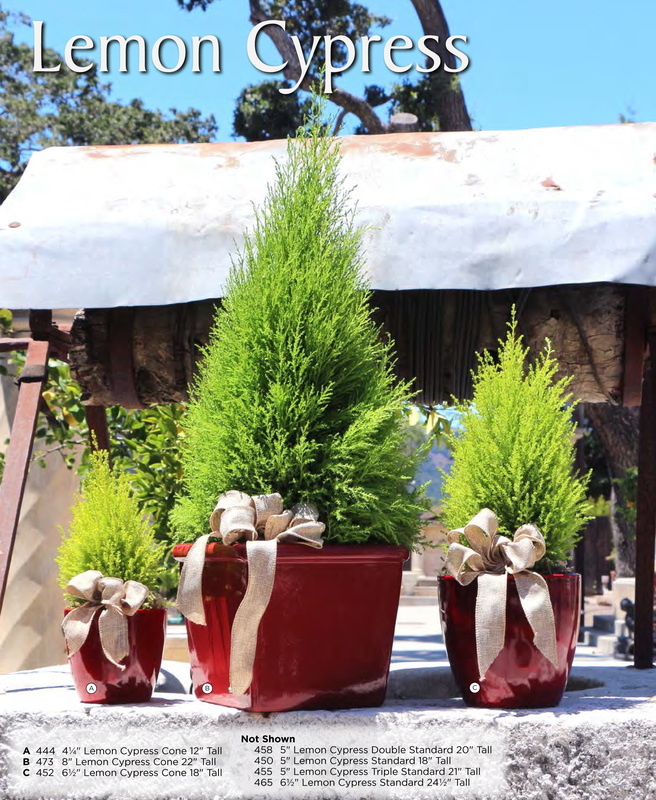 Besides these few little notes on how to care for your live lemon cypress topiary, these easy, fast growing, adaptable plants make the perfect gift for someone special or for your own home.